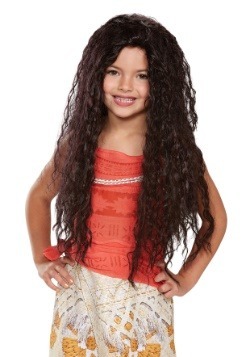 Your little girl is just finishing up her first year at the oldest Witch Coven in the New World. And she’s pretty proud of her work. Many have said she’s supremely talented. 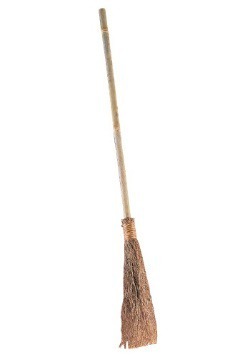 Well, she’s also supremely determined to no longer pretend she’s not a witch! The Coven rules state that since the Witch Hunts and Trials of colonial times, witches can’t let their magic be seen by normal people. Well, she doesn’t care anymore; she shouldn’t have to hide who she is! And that’s true. 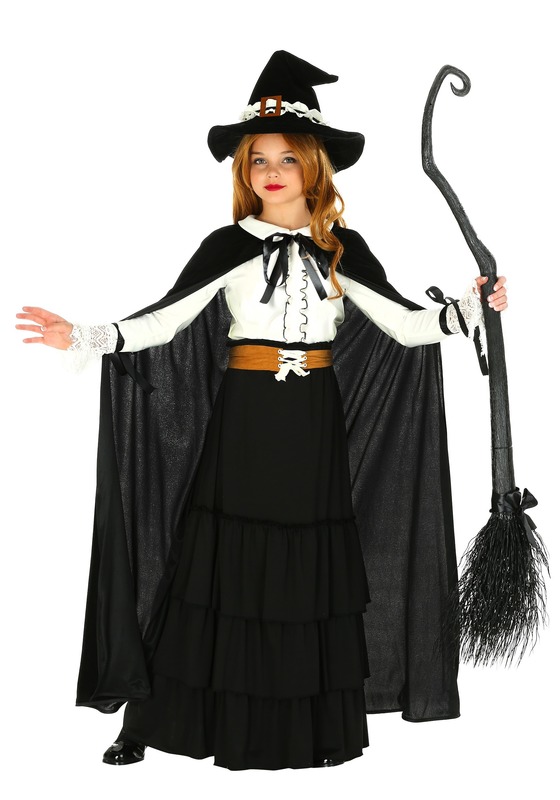 But maybe it’s more important she stay safe—so pick up this Salem Witch Costume for her and give her the opportunity to dress as a traditional witch, but with the added safety of being able to pretend...it’s just a costume. Genius, right? 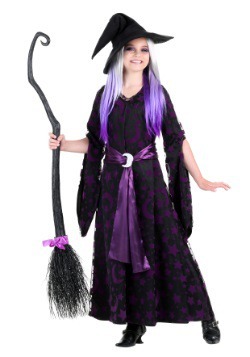 We know that witches may not actually dress like this anymore (it’s more jeans and t-shirts than pointy hats and brooms), but if your little girl is trying to reject the norms from the Salem Trials, then she should start by embracing the style of the time, right? 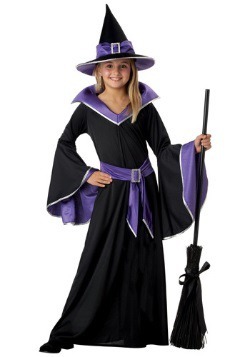 This costume is full of great details and witchy accents sure to enhance even your daughter’s prominent powers. For example, the ivory shirt features a Puritan-stye collar, but also has jagged-edged lace cuffs—that kind of contrast is magical. The black skirt, meanwhile, fits comfortably and has multiple tiers of ruffles. 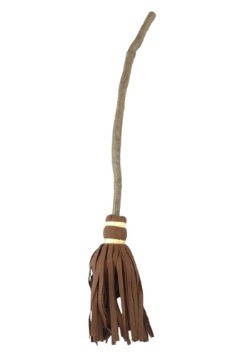 Also included is a faux suede belt and a velvet cape that attaches around the neck. 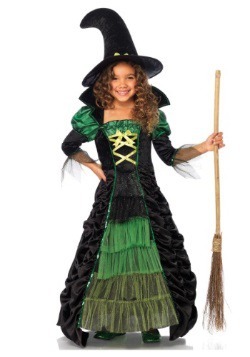 Finally, as a sentimental reference to her colonial sisters in witchcraft, a cone-shaped velvet hat with a ruffled band and buckle is also included with the full ensemble. 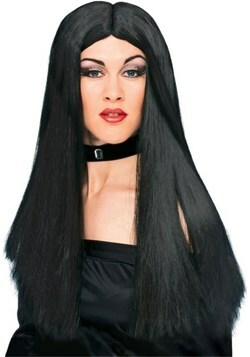 It’s a bold look, and we support her brave effort! Our only word of advice to her would be: start small. When she wants to start showing people who she really is, keep the magic basic and limited. Too many bold and flashy spells too soon might be too much for people to handle! X-Large (16) - $44.99 Only 1 left!